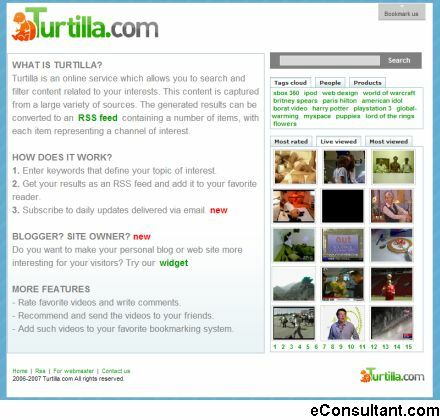 Description : Turtilla is an online service which allows you to search and filter content related to your interests. This content is captured from a large variety of sources. The generated results can be converted to an RSS feed containing a number of items, with each item representing a channel of interest.